Eliminate that rear sag or bottoming out !!! 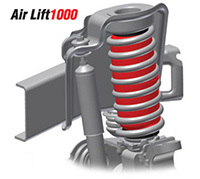 Air Lift air bag helper springs are designed to provide a comfortable ride while increasing your vehicles "level load" capacity up to 5000 lbs. Made with rugged, durable components, these adjustable air springs mount between the frame and the suspension. 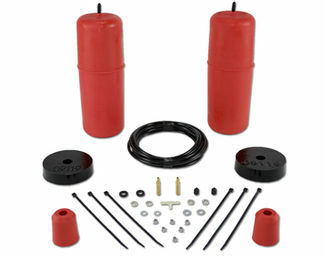 Air Lift air bags can do you a great help while hauling around your heavy loads. No matter what you are towing around or carrying in the bed of your truck, as long as it is under 5000 pounds air lift air bags will help your truck support it. The purpose of these air bags are to eliminate squat of your truck, which will mostly affect the ride of your truck. 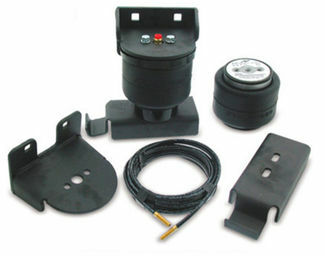 Another benefit of owning a air spring is it will eliminate poor headlight aim at night while you are towing something or just driving with a heavy load in the bed of your truck. Air Lift offers a lifetime warranty and also a 60 day no questions asked, money back guarantee. 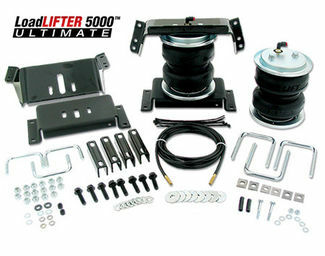 The Air Lift Load Lifter 5000 is made to increase the suspension performance of your truck and the towing ability of your truck. These air springs will help carry the load that you are towing. The bags will help carry up to 5000 pounds of cargo. These springs can help in a lot of ways including, trailer sway, rough ride, body roll and so much more. It will help in the performance by making it easier for your truck to turn and to stop. 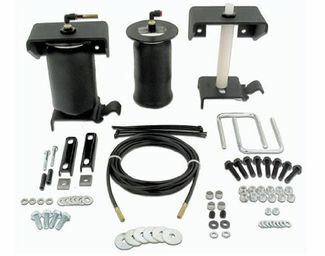 These kits come prepared to install to your vehicle with not tools required. Air Lift's Ride Control springs fit many different vehicles including 1/2 ton trucks and some full-size SUVs. 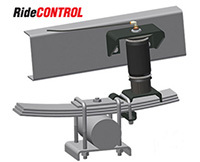 The Ride Control kit will hold up to 2000 pounds. This particular kit is useful for anyone that has to carry medium sized loads. If you have anything bigger than 2000 pounds you will want to purchase a load lifter instead if available for your vehicle. This kit doesn't need require drilling and also comes with a lifetime warranty. Both front and back kits are available for more stability and also more comfort while towing any load you may have. 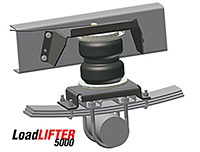 For smaller cars and SUV's there is the Air Lift 1000 to tow small loads of just 1000 pounds. 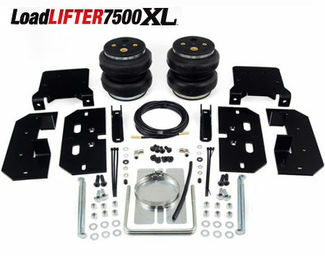 This Air Lift product will help your vehicle with squat when towing something heavy. 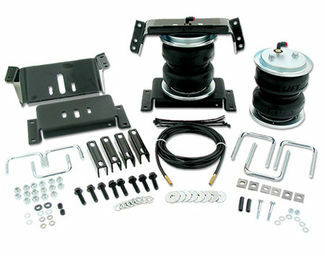 This kit helps with the comfortably of the ride while driving with a heavier load. Designed to install inside of the factory coil springs, installation is simple and straight forward. Requires no drilling at all, also comes with a lifetime warranty. 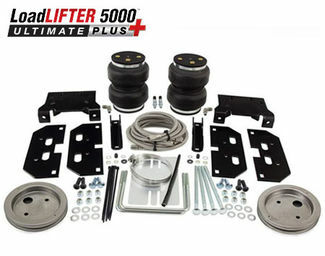 2009-2018 Dodge Ram 1500 2wd & 4WD - "Air Lift 1000HD" Air Spring Kit (REAR) NEW!